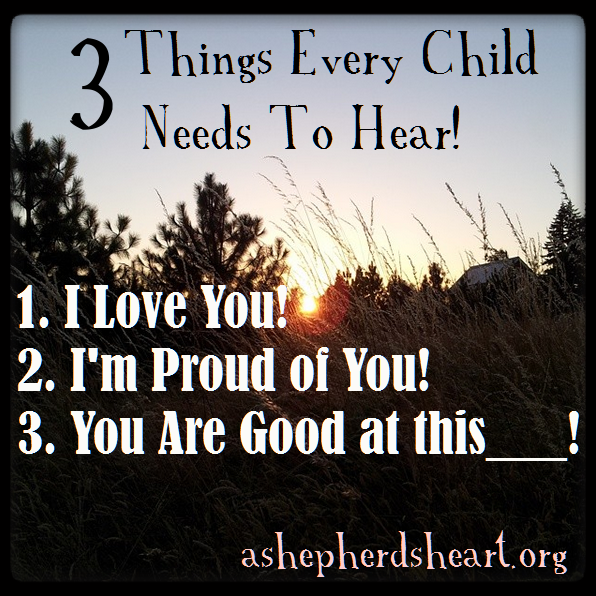 Words of affirmation are essential to building a positive foundation for your children. In a world that seeks to tear them down...we can be ones to seek to build them up speaking words of life to and over them! As parents we sometimes focus only on they areas of shall we say..."Opportunity" or "Improvement" and little time is spent on all the great and amazing things you see in them and believe about them. They need to see and believe the same and more about themselves. Also, if you don't tell them...who will?! 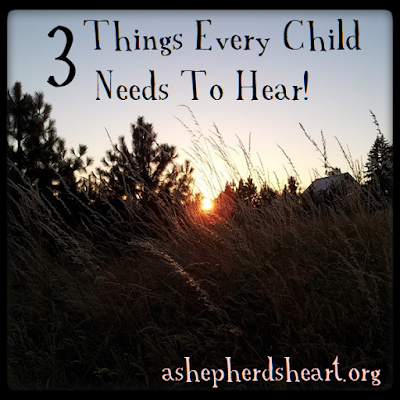 This might be a foreign concept to you because like many, you may not have received this as a child from your parents but regardless of this, you can turn the tide and forge a better way and path for your own children! 2. I'm Proud of You! 3. You are Good at this_______! This is a list is derived from an incredible men's video series I journeyed through quite a few years ago titled "The Quest for Authentic Manhood" by Robert Lewis and it's stuck with me since then and I've tried to regularly communicate this to my children over the years. Dads...you especially need to be the one who leads the charge to show and tell them how capable, talented, proud and loved they are because your words speak volumes to the heart, soul and mind of your children! Never underestimate the power of your words! Keep Living life on Purpose and make these affirmations and more a regular habit!